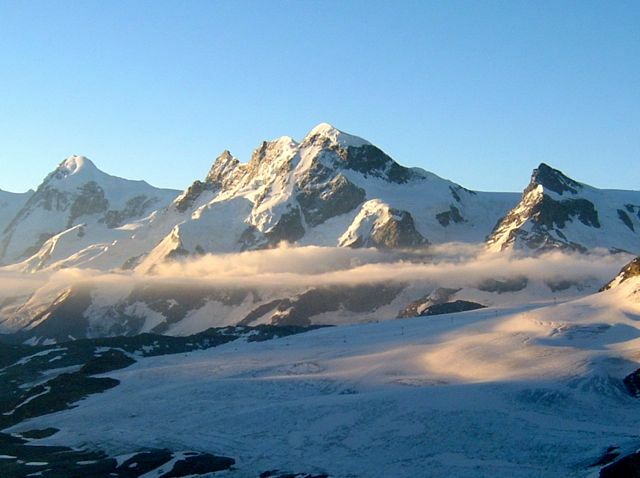 The Monte Rosa at 4634 metres is the highest mountain in Switzerland and second in height only to Mont Blanc in the Alps. 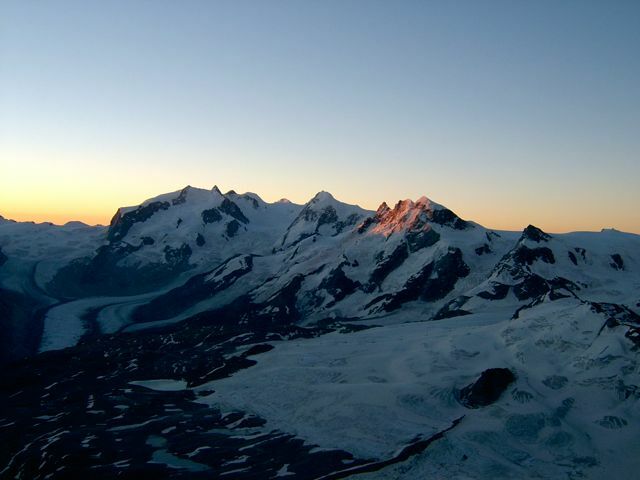 Our 7 day itinerary provides good acclimatisation and preparation time to make Monte Rosa an achievable summit for anyone reasonably fit. 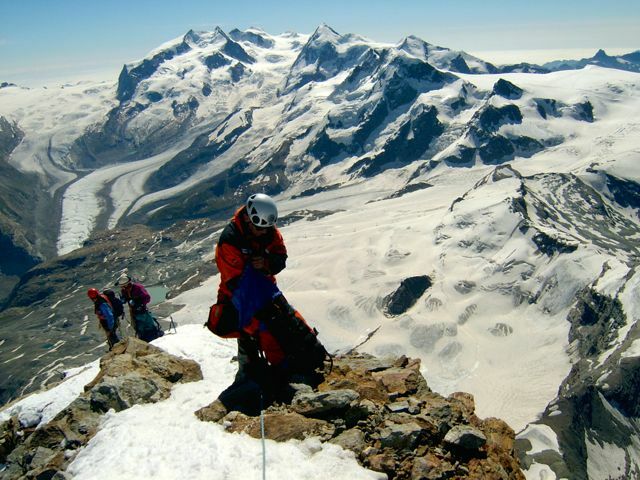 The highest summit on the mountain is the Dufourspitze. 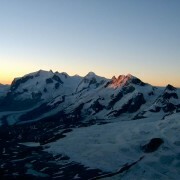 It is a challenging 3 day climb that is normally approached via the Monte Rosa hut and the rocky West Ridge. 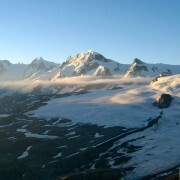 The summit day is a 6-8 hour climb up slopes of no more than 40 degrees and with an altitude gain of almost 1900 metres. 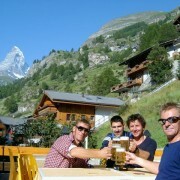 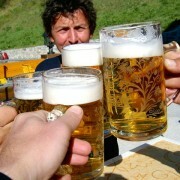 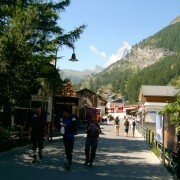 Meet up with your mountain guides in Zermatt in the evening for an initial briefing and equipment check. 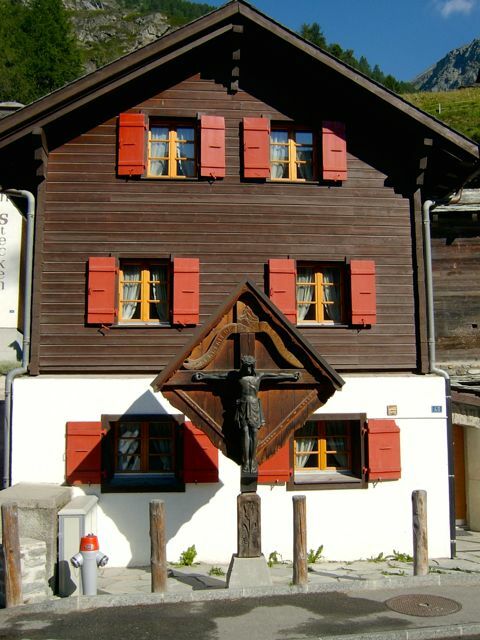 Stay overnight in the hotel. 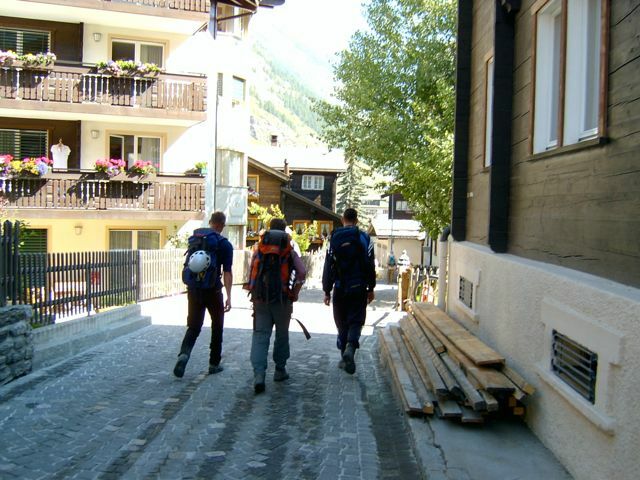 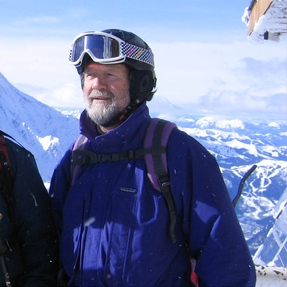 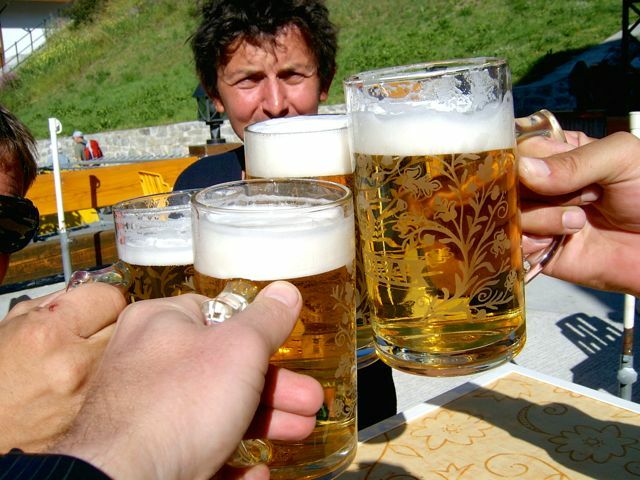 A 3 day training and acclimatisation trip with two nights in mountain huts. 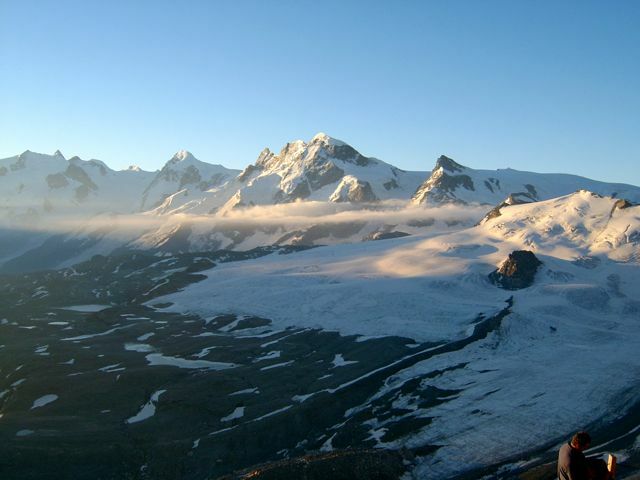 You will start by taking the cable car to the Klein Matterhorn and traverse the Verra glacier to climb Pollux (4092 m) before descending to the Val d’Ayas Hut (3420m). 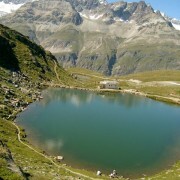 Climbing and walking time is about 5-6 hours. 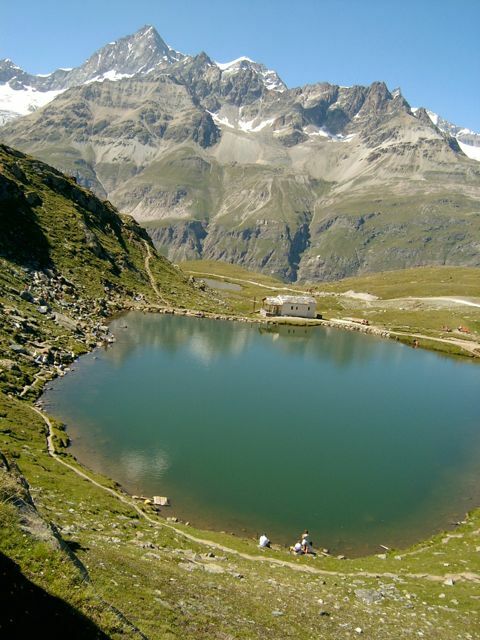 Climb Castor (4223m) and spend a second night in the Val d’Ayas Hut. 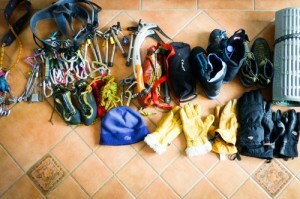 Climbing and walking time is about 5-6 hours. 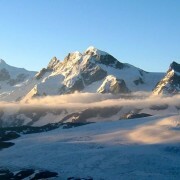 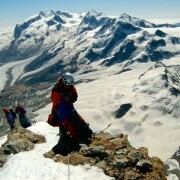 Climb Breithorn (4164m) and descend to Zermatt via Kleine Matterhorn. 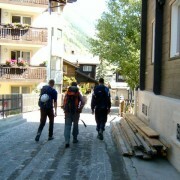 Climbing and walking time about 5 hours. 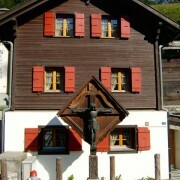 Stay overnight in the hotel. 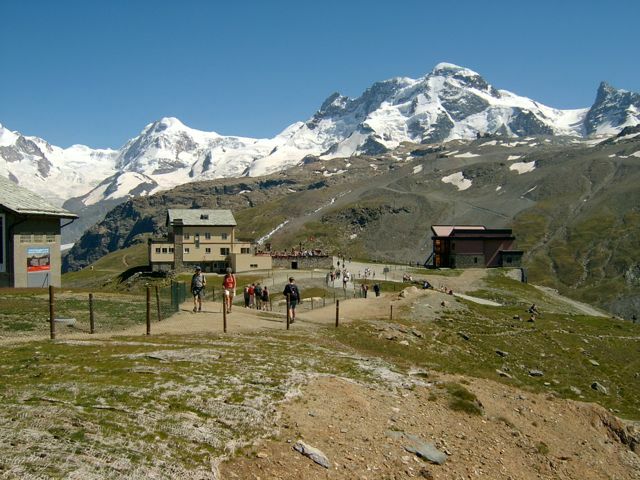 Take the Gornergrat mountain railway and then walk for 3 hours to the Monte Rosa hut (2795m), crossing the Grenz glacier. 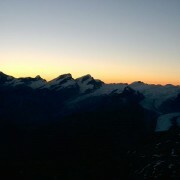 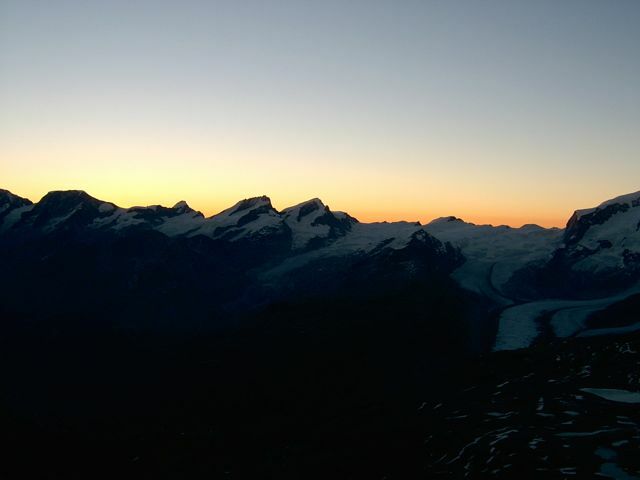 Summit Day: an early alpine start (about 1 or 2 am) from the Monte Rosa hut for the 5-7 hour ascent to the summit of the Dufourspitze. 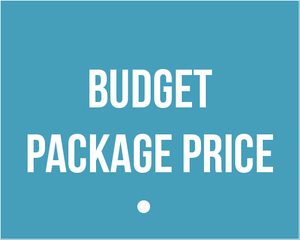 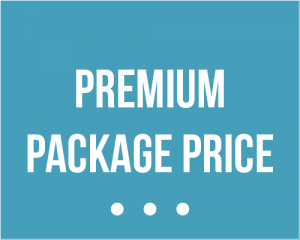 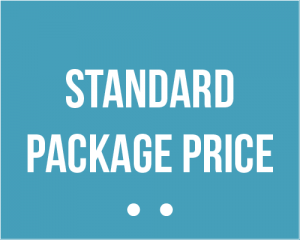 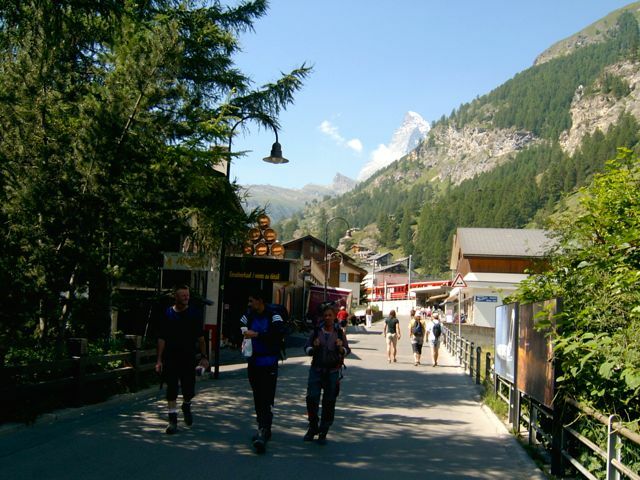 The reward is a spectacular panoramic view of the Italian Alps and the Mont Blanc Massif. 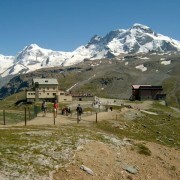 Return to the Monte Rosa hut. 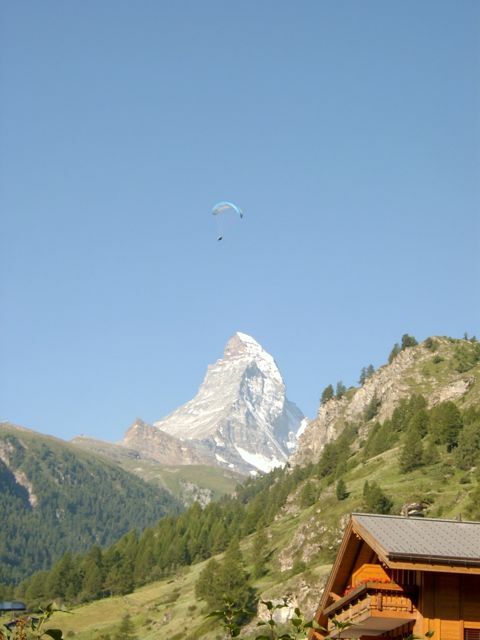 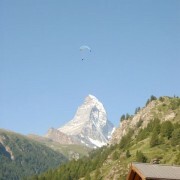 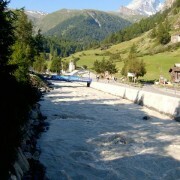 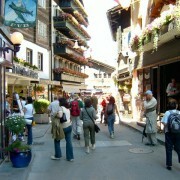 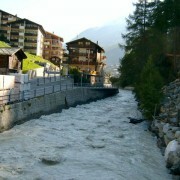 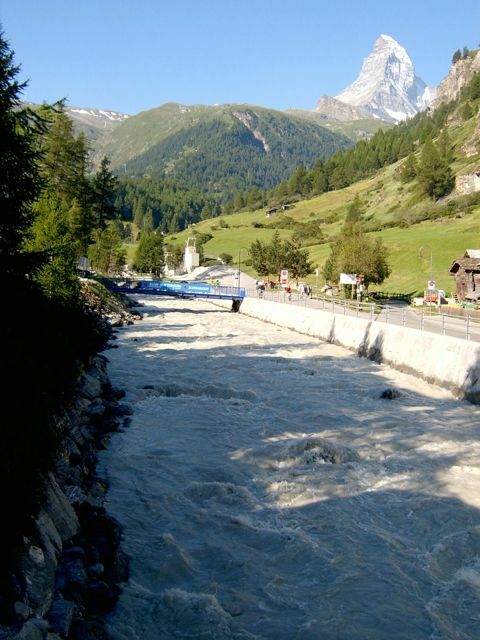 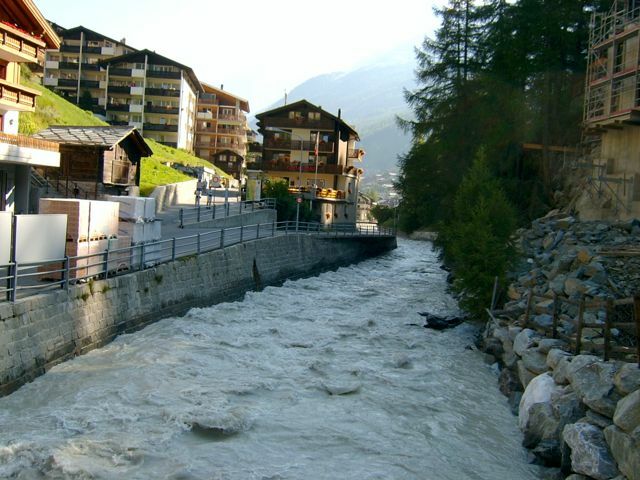 Descent to Zermatt and stay overnight in the hotel. 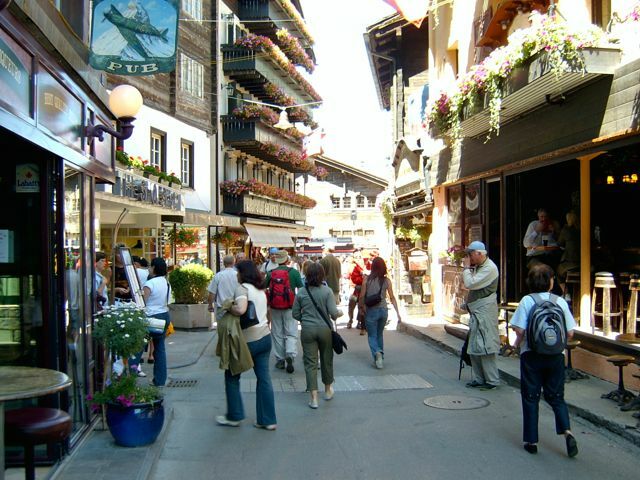 Depart after breakfast for the airport and your flight home.